I know, when Project Life came out I was all "oh, no, I'll never do that." I should know better really. I still can't cope with the idea of recording everything on a weekly basis. That's far too much pressure to keep up. 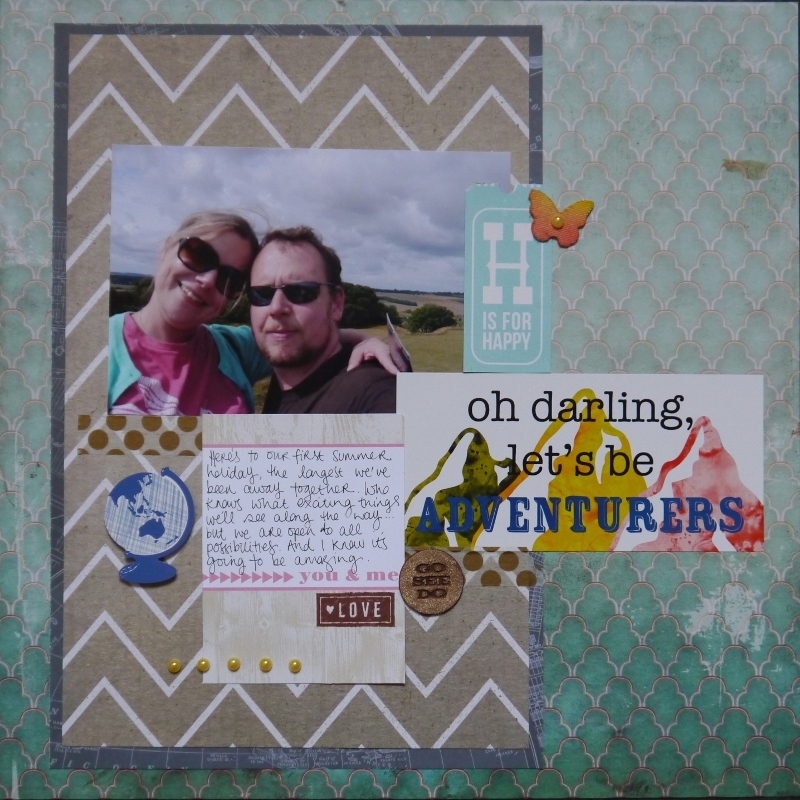 But what I have realised I love is the idea of pocket page scrapbooking and using those products to make my albums complete. Why? Because I have barely started my album for last year's summer holiday and now I have our South Africa trip as well. And although I am good at printing my photos, they often end up sitting in a box, but I've run out of space for boxes. I need albums in my life. 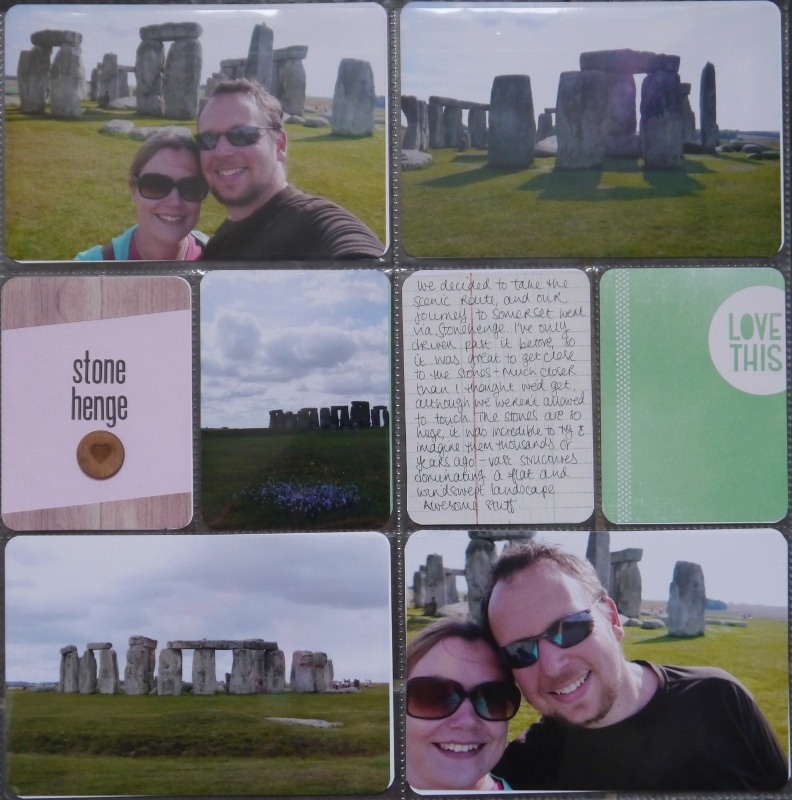 So this was the first part of our trip, a visit to Stonehenge. The pockets mean I can put far more photos on a page than usual, and it doesn't look too messy or untidy. 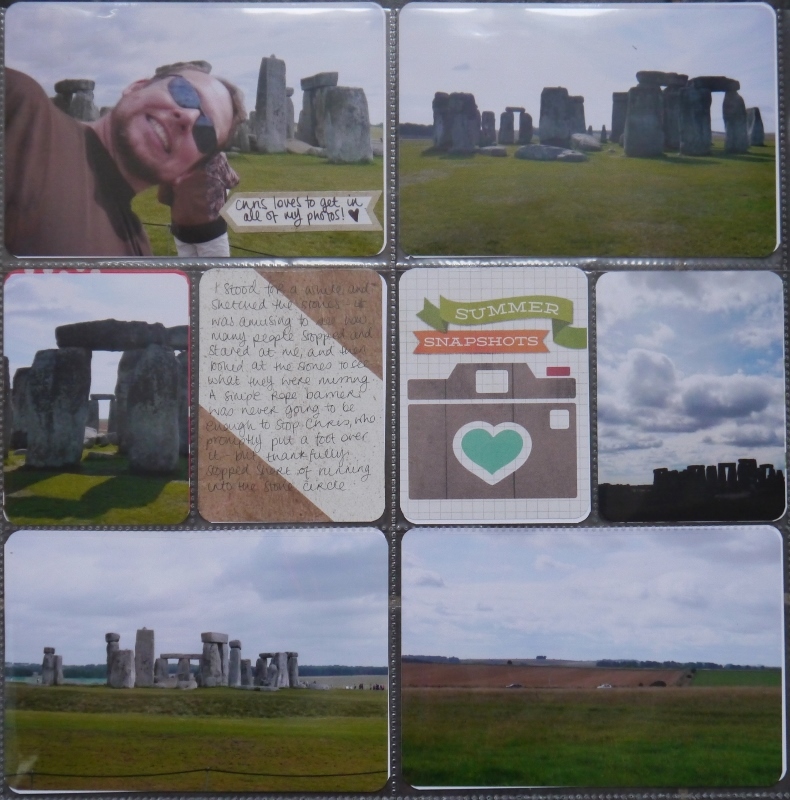 I'm using two styles of pocket page - these and the same layout but with vertical pictures. I shall probably use the 6x4 slots for photos and the 3x4 to use up some of the collection of cards I seem to have acquired. The only thing I am not totally thrilled with? The way that the inserts show through to the next side. I just can't get them lined up, and it's especially annoying when the back of a card is brightly coloured (I'm looking at you, red card on the left). Hopefully this is one of those things that has a 'knack' that I can pick up soon. And there you have it - 12 photos scrapped already. Out of the box and into the album. Feels good!